The state government’s failure to break the stalemate over the strike of contractual lecturers has badly affected class work in the valley colleges. The lecturers have gone on an indefinite strike since June 27 after government allegedly failed to address their demands. They include revocation of the nomenclature, terming them academic arrangement lecturers and teaching assistants instead of contractual lecturers; monthly stipends equivalent to the basic salary of the post on which they are engaged; and end to new norm of six classes per day. They also demanded one time exemption in NET/SLET. “There is no initiative from the government to hold negotiations with us for the sake of student’s career. The routine class work is affected everywhere. 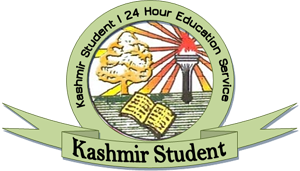 Even we informed chief minister Omar Abdullah on June 28 in a meeting about it but nothing came out,” said President Jammu and Kashmir College Contractual Teachers Association, Dr Muhammad Maqbool Bhat. Asked about the class work being affected by the strike, he said they would hold additional classes in morning and evening time to compensate this loss after the government agrees to their demands. “Since 1994, contractual lecturers are working in colleges and many of them have crossed upper age limit for government services. The government is paying us peanuts. PhD degree holders are paid mere 12000 per month. We are ready to get disengaged but will not call off the strike till our demands are conceded,” he told Greater Kashmir. In Srinagar colleges, the classrooms appeared dull with students fuming against the authorities, saying, “Our education has come to a halt and government is looking as a mute spectator. Our career is being spoiled and Higher Education Department should look into the genuine demands of our teachers,” said a group of students from Government College for Women, MA Road. 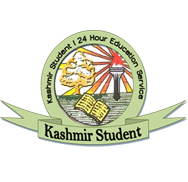 Talking to Greater Kashmir, some college Principals asserted that not only class work is affected but the ongoing examinations of postgraduates and undergraduates has suffered due to inadequate staff. Minster for Higher Education, Abdul Gani Malik, told this newspaper that the government would concede to the genuine demands of contractual lecturers. “We are taking measures to reach out to them and are discussing their genuine demands in order to save the students’ career,” said Malik.